If you have a question that’s not listed here, or about a different topic, please email us at info@wdcs.org and we will endeavour to get back to you as soon as we can! Q1. Why is it not a good idea to keep dolphins in captivity? Dolphins are highly intelligent animals. In the wild they live in complex social groups. In captivity, dolphins live shorter lives than they do in the wild. This is significant given the fact that they are kept in an environment that is free of predators, pollution and other threats that they face in the wild. Wild dolphins can swim up to 100 miles a day but in captivity they have very little space in which to move around and so cannot behave naturally. The captive environment can never replace their natural one. Q2. Is it possible to successfully return dolphins to the wild after they have lived in captivity, even when they were born in an aquarium? WDCS believes all dolphins should be given the chance to show that they can re-learn the skills that would help them survive in the wild but in some cases this might not be possible. We would still like to see these dolphins taken out of concrete tanks, and show pools and instead put in a retirement programme in a more natural environment where they no longer have to perform tricks in shows. Q3. How big would an appropriate tank have to be for keeping dolphins in captivity? No tank can be big enough as they can swim up to 100 miles a day and it is also impossible to replicate their natural environment in captivity. Q4. Is chlorine in the tanks’ water good for dolphin health? While chlorine may help keep tank water looking clean, it may present a problem to dolphin health, with possible impacts on skin and eyes. Q5. Do whales and dolphins like to play with balls or hoops as they have to do in the dolphin shows? Whales and dolphins have been trained to perform these tricks. While they may relieve some of the boredom of being held captive, they would no doubt be happier if they could carry out more natural behaviour. During the show, dolphins are fed after every trick as a reward. They may perform simply for the reward of a fish. Q6. Dolphins smile during the shows so they must be enjoying themselves? Dolphins cannot move their facial muscles to communicate their inner feelings like humans, so dolphins appear to ‘smile’ even when injured or ill.
Q7. What happens to the dolphins when they are not taking part in the shows? They are often kept in holding tanks which are smaller than show pools. Putting dolphins together that may not get on with one another can result in stress and aggression which they can’t escape from. Q8. Dolphins eat fresh fish in the wild but in captivity they have to eat frozen fish. Does that affect the dolphins’ health? Dolphins are predators of fish and spend up to half of their time in the wild hunting. In captivity, they cannot do this. Frozen fish is also supplemented with vitamins, minerals and even water, suggesting it may not be as nutritional for them. Q9. Is it a good idea to put different species of dolphins in the same tanks? Captive dolphins often come from different regions and populations. Dolphins in captivity are often forced to live with other species that may have trouble communicating with one another, and may not get on with one another, including species that would never meet in the wild. Q10. Where do the dolphins and whales that are held in European aquariums come from? From many sources – some from the wild, some bred in captivity while others are moved between parks. For example, the orcas in Loro Parque in Tenerife are on loan from Sea World in the US. Q11. How often do the dolphins have to perform in shows? Shows can take place several times a day but dolphins may not be able to rest when they are not performing. They are also involved in training sessions and health checks. Q12. Why shouldn’t I visit a dolphinarium? Where should I go if I want to see dolphins? For many of the reasons given above. dolphins in captivity live shorter, less happy lives doing the same tricks day after day. They have often been separated from their families and forced to share cramped facilities with animals they don’t know. Europe has many fantastic opportunities to see whales and dolphins in the wild with a responsible boat operator. You can email or call WDCS for more information. Q13. Is it ethical to study dolphins in captivity? The behaviour of whales and dolphins is obviously constricted by life in a tank. Whales and dolphins are ordinarily intelligent, social animals that live in groups in the wild and carry out a myriad of tasks throughout daily life that are simply impossible in captivity. Most of the knowledge gained from carrying out research in the captive environment may not be applicable to the conservation of these animals in the wild. Q14. Is there any proof that dolphin assisted therapy works? There is no scientific evidence to suggest that dolphin assisted therapy provides any long-term benefit to those who take part in it. Q15.How do dolphinariums threaten dolphins in the wild? Wild capture of dolphins is a brutal activity as entire pods are targeted and only the young and fit are removed. These are the future generations of wild populations which may already be subject to other threats and the targeted population may therefore suffer greatly as a result of these captures, particularly in terms of group dynamics. Q16. Why do you endeavour to free dolphins in captivity? What about all animals held in zoos? Q17. What can I do to help? Get Active! 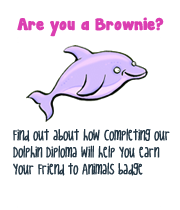 Write to your local MEP if you have a dolphinarium in your region. Join WDCS and get involved with our EU dolphinaria campaign. Q18. What is WDCS doing to help? WDCS is working for a world where whales and dolphins are no longer subjected to the cruelty of captivity. WDCS also campaigns for tougher regulations to protect whales and dolphins from capture and international trade. WDCS is working towards achieving stricter protection for these animals on a national and international level. We talk to governments, undertake independent investigations, document the situation of captive dolphins and engage in public awareness and educational initiatives. Q19: Why does WDCS work with SEA LIFE Aquariums? SEA LIFE opposes the captivity of whales and dolphins and accepts the arguments that WDCS puts forward as to why they are unsuitable for captivity. WDCS is confident that the declared position of SEA LIFE, and Merlin Entertainments with respect to whales and dolphins (cetaceans) is fully compatible with WDCS’ own opposition to the keeping of cetaceans in captivity. Indeed, WDCS has worked closely with SEA LIFE over many years and believes that this relationship has delivered real conservation and protection benefits for cetaceans around the world. It is WDCS’ belief that partnerships with committed organizations such as SEA LIFE are an essential tool for securing a better and alternative future world for whales and dolphins.